Shop with Confidence; Over 15 years in business! If you have any questions about this product by JOlivers, contact us by completing and submitting the form below. If you are looking for a specif part number, please include it with your message. 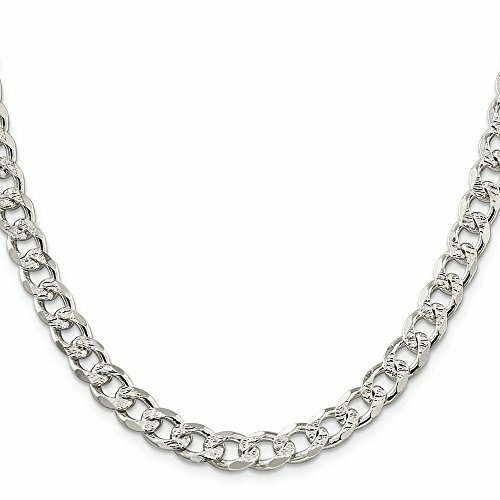 Solid 925 Sterling Silver Bracelet - with Secure Lobster Lock Clasp Anklet 10.5mm Pave Diamond Cut Curb Link Cuban 9"